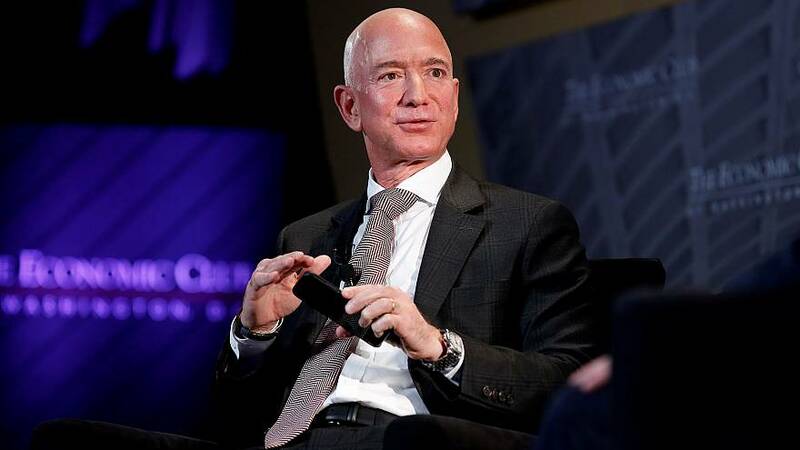 Saudi Arabia accessed Jeff Bezos' phone and obtained private data belonging to the Amazon CEO, security specialist Gavin de Becker said in an article posted on The Daily Beast Saturday. In a shocking post in February, Bezos alleged that National Enquirer publisher AMI blackmailed him by threatening to publish intimate photos if he did not publicly state that the tabloid's coverage of him was not politically motivated. AMI has maintained that it acted lawfully in its reporting on Bezos. De Becker said his investigation had concluded "with high confidence that the Saudis had access to Bezos' phone and gained private information." De Becker went on to say that it is unclear if AMI was aware of the details, but pointed to what he called a close relationship between AMI chairman David Pecker and the Saudi government. Saudi Arabia has previously denied having anything to do with the National Enquirer's coverage of Bezos. De Becker said the results of his investigation have been turned over to federal officials. The Saudi embassy and AMI could not be immediately reached for comment.